Microwave Journal reached out to some leading microwave companies and gathered the following exclusive product previews for IMS2016. Microwave Journal welcomes Jacqueline Williams as event coordinator, a new position that was created based on MWJ's expanding event portfolio. She will coordinate activities around the European Microwave Week event, EDI CON China and our newest launch, EDI CON USA, as well as manage Microwave Journal's participation at various industry exhibitions. 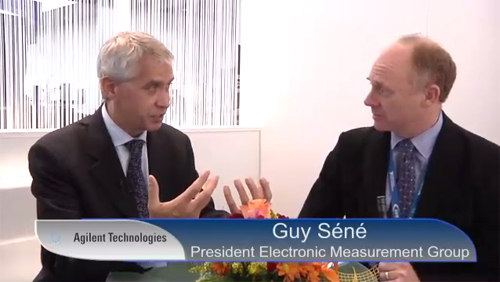 In the first interview about the Agilent spinoff of the Test and Measurement group as a separate company, David Vye, Microwave Journal editor, talks with Guy Séné, president of Agilent's Electronic Measurement Group, about the reasons for the separation and impact on the company. Visit Microwave Journal's Online Show Daily page for the IEEE MTT-S International Microwave Symposium 2012 in Montreal for the latest coverage of the show and conference.